The distracted high school student isn’t always easy to spot. Sometimes, it can be the student who is passing, doing acceptable work, but who just isn’t grasping or retaining what they’ve learned. Often, students will do what it takes to pass their classes, but don’t leave with the fundamental messages the teacher intended for them. So what is the key factor that distinguishes perceived success from actual knowledge retention? Student engagement. We all know that it takes student engagement for learners to fully grasp what they’re learning, but engaging each and every student can feel near impossible. Consequently, if the students aren’t engaged, then they will likely not be grasping the material for long-term use. They will do the bare minimum needed to pass the class, and leave without fully understanding the breadth of what they've been taught. Engaging students, however, is a tricky thing to do- especially in high school. Social implications, sports, and extracurricular activities can take precedence over school work at times, and makes engaging students really tough. 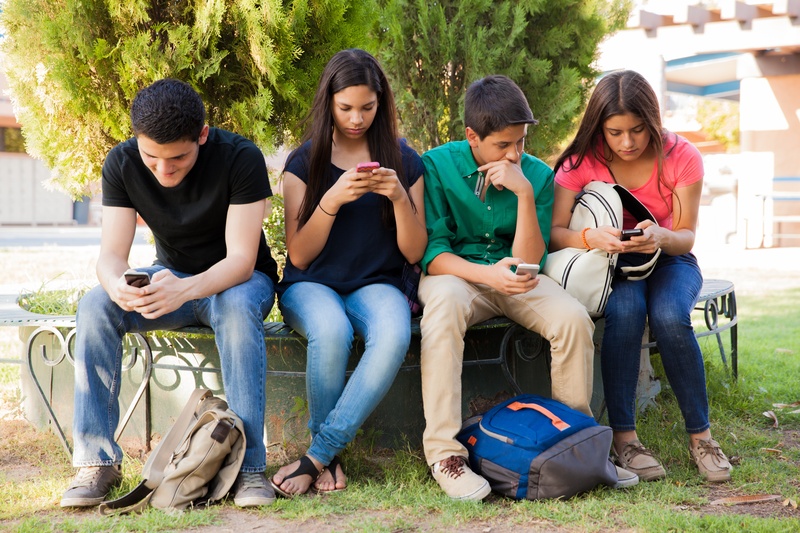 So we’ve developed a list of six ways to better engage the modern, distracted high school student to ensure that learning is conducive to success. Personalization. This idea of personalized learning is something that has been growing in popularity in recent years after it was discovered that students don’t retain as much with a “one-size-fits-all” approach. That being said, teachers have found that by tailoring their materials to fit the needs of individual students, they are more likely to find improvement. Personalized learning involves getting to know and understand the strengths and weaknesses of students, and then designing exercises around them. Often times, personalized learning involves other-than-ordinary course materials and resources. The traditional textbook can be daunting for students, but other resources like those that are teacher-created or borrowed from reputable sources, such as journals and articles, can be a great way to drive points home and help students to make connections. Accountability. Holding students accountable is something that isn’t new to education, but that is still effective. Giving students further classroom responsibilities, in addition to their work, and holding them accountable for their own success is a good way to engage them. It happens because students need to visualize the reasoning behind what they’re doing, see the bigger picture so to speak, before they can be engaged. Holding learners accountable teaches valuable lessons needed in real life about follow-through and diligence, but can also better engage students from the minute they enter the classroom to the minute they leave. Real-world scenarios. Again, if we focus on delivering students with a “bigger picture” perspective then they are more likely to be engaged with what they’re learning. Using real-world experiences and scenarios is a great way to help students to better see how what they’re learning can be applied in the real world. It makes learning less about memorizing and passing tests, to developing skills that can be used for lifelong learning. Try role-play and scenario work, guest speakers, and current events to drive home points. Technology (online learning/BYOD). Technology has evolved significantly in the education space and has made learning more accessible and measurable. Students today are digital natives, and they can easily operate most technology without elaborate instruction. This makes it accessible to use, and the inherent mobile capability is an additional benefit because students can access their course materials and notes whenever and wherever they want to. The freedom and connectivity that technology has generated in the education space lends to student engagement. They can access their materials when and where they want to, therefore making it much easier to learn inside and outside of the classroom. Self-paced progression. Allowing students to work at their own pace can give them the extra time needed to absorb their materials and succeed. The birth of online learning has made self-paced progression a common and productive path for success. Self-paced progression pairs personalization and technology to foster a new track that students can take to learn. Since no two people learn the same, allowing students to work at their own pace means that all learning styles are acknowledged. Hands and Minds-On Learning. Hands-on learning has been a fairly successful method for many years, with the underlying idea being that if kids are having fun they will absorb knowledge organically. While the idea behind it is practical, some teachers have been finding that hands-on doesn’t always equate to stored knowledge. Sometimes, students need prompting to find the underlying meaning behind the hands-on activity. “Minds-on” learning is essential to hands-on learning and requires more frequent check-ins, guidance, and prompts from the teacher. Hands and minds-on learning complement the other well, having the fun of hands-on but maintaining the ability to be mindful of the theme or underlying lesson in the activity through thought-provoking discussion questions, group activities, or the like. Engaging today’s students requires personalization, hands-on learning, technology, and a whole lot of patience! “Actively Engaging Students Using Hands-on & Minds-on Instruction” by Laura Candler, teachhub.com; “The Great K-12 Debate: Engaging Students with 1:1 & BYOD Initiatives” by Susie Steckner, insight.com.